Please share with us the name you would like engraved! Learning to play a musical instrument is such a rewarding experience! What better way to start than on the recorder! 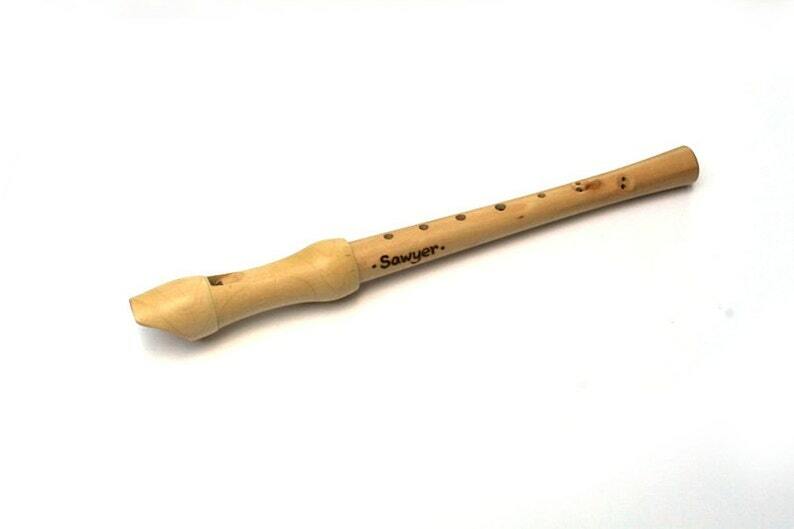 Our personalized recorders are individualized and personalized to fit your child's personality. Each recorder is permanently branded by hand and then sealed with our homemade beeswax. When you check out, please leave a note for what name you would like on your recorder. All of our wooden toys are made with the most care and love to give your child a safe, natural toy. Our wooden toys are sealed with our homemade, all natural, local, organic beeswax sealer. This is a great gift for a little one it super cute and a nice quality item. Our little one loves it and likes to take it everywhere with her. Thank you for another quality item. Excellent quality, was as described. Shipped as expected.